Children take time to get ready to school. We designed our programs to get ready to school with school readiness skills required. We focus on MATH, SCIENCE and language with activities by creating hands on experience. We engage them in meaningful reading and writing skills, with teacher-guided environment. Activities develop their physical skills, emotional skills, intellectual skills and cognitive skills. 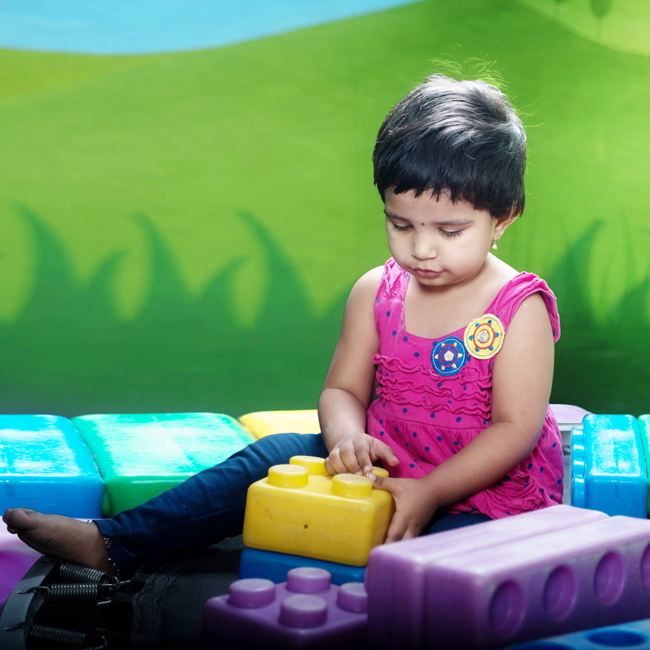 We feel proud to say that we have been consistently providing and enriching quality childhood education. 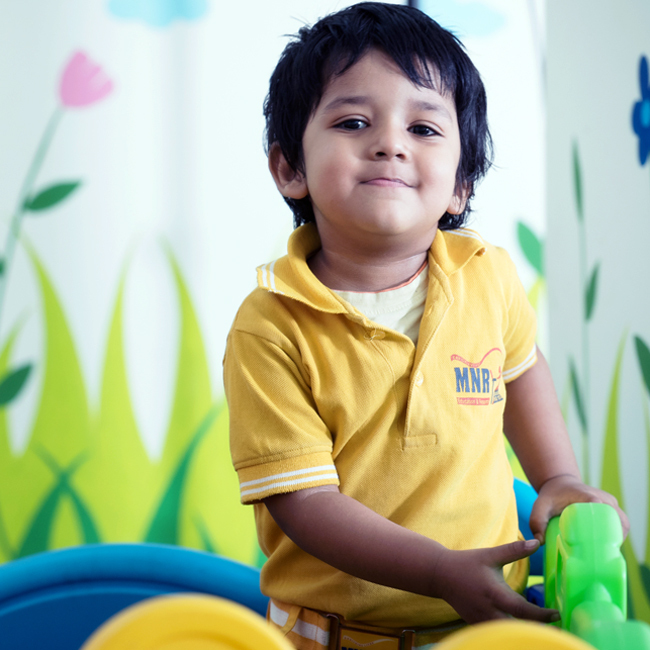 We provide child friendly environment with personalised care. The child at this age is very much active beyond imagination. They get engaged more in activities which focus on the areas of development. Fine motor skills, which includes finger and hand movement. MNR Golden Kids drive to make every child learn and actively interact, with the world. They will be provided with child centric approaches to engage young minds with the blend of learning through play and learning by doing.